April 17, 2015 North Andover, MA, USA – Aries Systems is a leading supplier of online submission and peer review workflow solutions for scholarly publishers. Aries’ principal offering, Editorial Manager, is used by more than 6,000 scholarly journals including many published in the fields of chemistry and materials science. 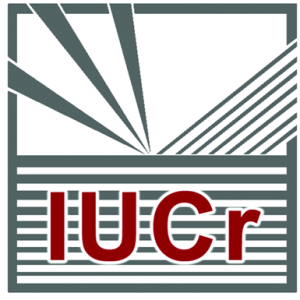 For consideration by these journals, authors are often required to submit their crystallographic data files to the IUCr’s checkCIF system for validation. The Crystallographic Information File (CIF) is a standard text file format for representing crystallographic information promulgated by the IUCr. Managing this additional step manually can be inconvenient for authors and journal operations. March 16, 2015 North Andover, MA, USA – Aries Systems welcomes new users and returning participants to the 2015 Editorial Manager User Group Meeting! The meeting will take place at the Hilton Back Bay Hotel, Boston, MA on June 18 and 19, 2015. Attendees will have the opportunity to participate in sessions about Editorial Manager®, ProduXion Manager®, and Commerce Manager™, and network with colleagues over cocktails and dinner. 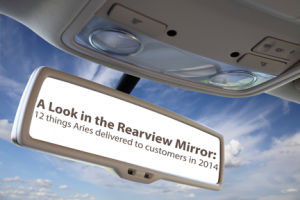 A Look in the Rearview: 12 things Aries delivered in 2014! January 6, 2015 North Andover, MA, USA – Thanks to the feedback and support from our customers and partners, here are 12 things we successfully delivered in 2014.